We have a random room right when you walk into our house that I have never been sure what to do with. For 3 years, it has just been a catch all, eye sore type of room. We kept the girls toys in there, but I was sick of having them out everywhere, so I decided it was time for a change! I have Lorena Canals rugs in both Saylor and Remi’s room, and I am obsessed with them. They are not just darling rugs, but I LOVE that they can be thrown in the washing machine. They have held up so well over the few years that I have had them, so I love that too! Another great thing they have available in Moab is called Winter in Moab. It is a program to keep people coming during the lower season (winter months), and gives you discounts on really awesome things to do. The companies they partner with range from ATV’s, many restaurants, different events, even a massage company! It is a great resource for consumers, and also helps the local community. We went and did the Delicate Arch hike during our stay, and it was about 50 degrees and so beautiful! There are so many incredible places to see and things to do in Moab, and I would not let any season deter you from visiting! When I arrived at the store, I was greeted by their cute employees and told them my sizes and asked them to help me and pull whatever they think I would like/look good on my body type. We were able to work together and it was so fun! I learned that their store is completely mom and kid friendly. 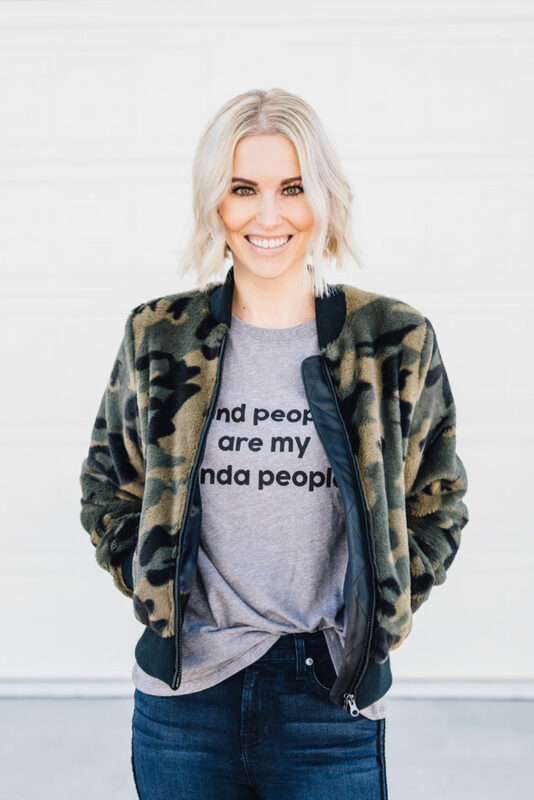 It was started by a fellow mom who just wanted a better shopping experience. All the employees are trained in body types, so they know what would look good on all our different shapes and sizes. The stores have a kid area and are designed for a double stroller to fit throughout the entire store. I honestly can’t say enough good things about them! IncrediBundles.com has made giving the perfect baby gift as easy as 1,2,3! IncrediBundles.com offers 3-Month, 6-Month, 9-Month and 12-Month Diaper Subscriptions. 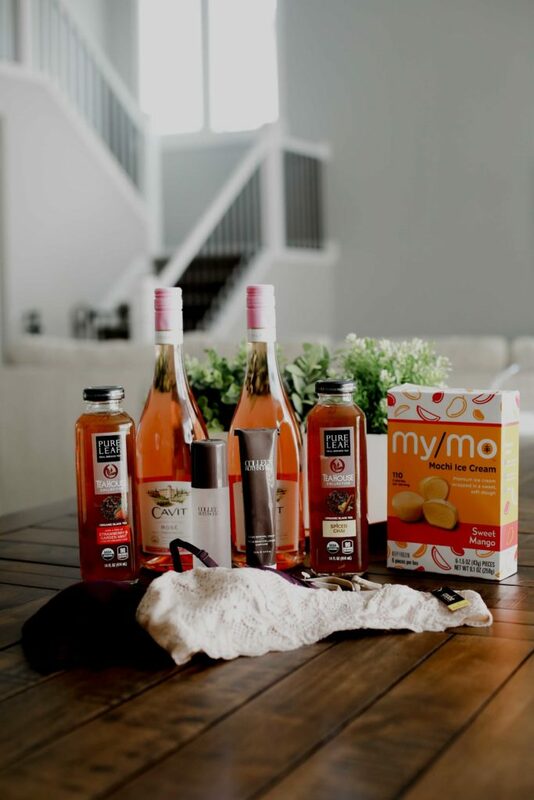 It’s the perfect gift for baby showers, first birthdays, holidays and any time you want to make life a little easier for the mom and dad in your life! Upon your purchase, we send an adorable package announcing your gift! 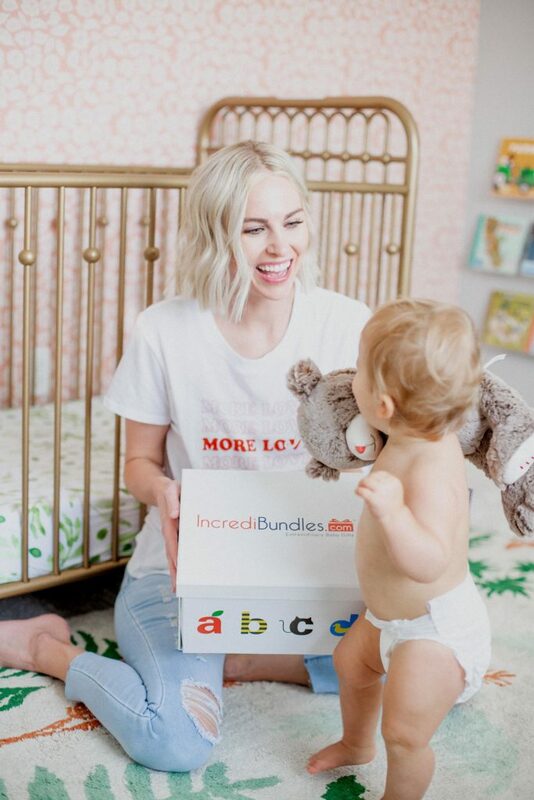 Each IncrediBundles.com Diaper Subscription comes with a beautiful announcement package featuring a premium plush teddy bear that holds a certificate announcing your gift. This certificate includes your recipient’s unique code which they will use to redeem their diapers. We can send this announcement package directly to your recipient or to you to present at an event. What makes an IncrediBundles.com Diaper Subscription the PERFECT gift? Your recipient gets to choose the brand and size of diapers they would like each time they redeem an installment. They can choose from all of the varieties of Pampers, Huggies, Luvs and Member’s Mark Diapers. The diapers are delivered straight to their door! IncrediBundles.com Diaper Subscriptions are a hit at baby showers across the country! 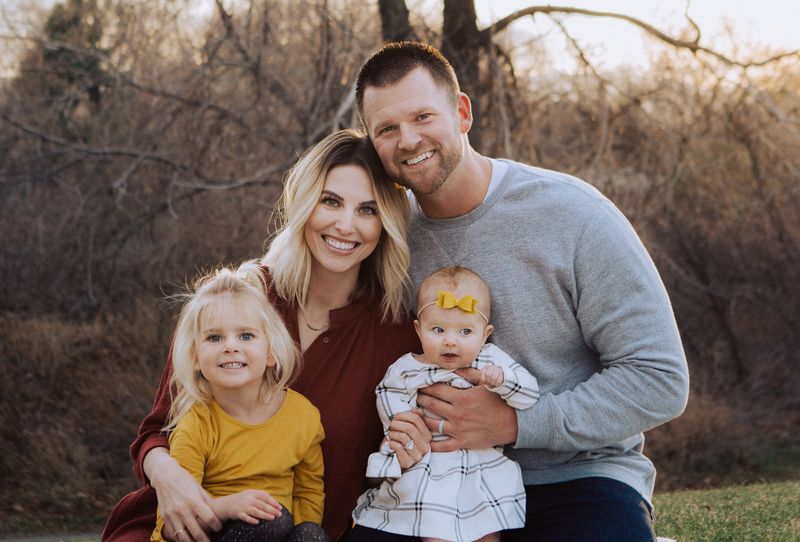 They are also the choice of hundreds of companies who use IncrediBundles.com Diaper Subscriptions as the ultimate perk for their employees who embark on the journey of parenthood. -As mentioned above, activating your subscription is so very easy. It takes maybe 3 minutes total…they really do make it seamless. Especially as a busy mom, or someone who gets the gift for their baby shower, we just don’t have a lot of time to figure things out, haha. So that makes this the perfect gift. Diapers and wipes are ALWAYS a welcomed, and needed, baby shower gift. You can never go wrong! Gifting a new or expectant mom a diaper or wipe subscription would be the best possible thing you could do for them! I know I would love to receive any of the IncrediBundles. Be sure to keep them in mind the next time you need to purchase a gift, and also head to my Instagram for a chance to win a 3 month diaper subscription! I am going to preface this little section by saying I do not drink. So I kindly gifted these 2 oh-so-cute bottles of Cavit Rose to my friend Hillary, and told her she needed to report back to me & tell me all the things. We all know Rose is all the rage right now, and I was informed that this one is very, very tasty. She also told me that her and her boyfriend enjoyed a bottle together over ice, and it was perfect. They both enjoyed the taste and said they would buy it in the future! Next up…My/Mo Mochi Ice Cream. I love mochi! I was so excited about this being in the box. It is one of Troy’s favorite things, too. I chose a mango flavor and it did not disappoint. If you don’t know what mochi is, it is a small ball of ice cream wrapped in a sweet rice dough. It is chewy, sweet, creamy, and so delicious. They come in 8 flavors and next I plan on trying Vanilla Bean and Green Tea! You can click HERE for a $1 off coupon. Have you ever seen a more pretty set of bras? I could argue that you certainly have not! Since I stopped nursing Remi, I was on the market for some new bras and so far, I am loving these from Coobie. They are pretty, delicate, and has the right amount of support that I need. These 2 pieces are the lace bralette and the lace back scoopneck, and you can use code BAB30 for 30% off your order! Lastly, you know I am obsessed with skincare. Give me all the skincare. I have seen and heard amazing things about Colleen Rothschild Beauty, and when I saw there was a few products in the box, I was elated. Included was their Sheer Renewal Cream and Beauty Water. Let me tell you that I am obsessed with both products. The sheer renewal cream has been my night cream, it has a light, light scent and isn’t very heavy. You also can use it as a makeup primer so I will definitely give that a try! The beauty water is the perfect little pick me up throughout the day. It smells amazing, and adds a good amount of moisture without having to layer on a cream. Saylor even loves this, LOL! You can use code BOXX20 for 20% off all regular priced items. I hope I introduced you to some fun products, and let me know if you try anything I mentioned above! I have personally used Aveeno lotion on myself for years, so when I found out they made a natural, mineral based sun blocker, I had to get on board! It is a 100% zinc-oxide UVA/UVB mineral protection, and also hypoallergenic. I picked mine up at Walmart. It comes in a 2 pack, which is super convenient because we go through sunscreen like crazy over here. The bottles are the perfect size…keep one in my diaper bag, one in the car, take it to the park, etc! What I have also noticed about this sunscreen from Aveeno after using it a few times is that it actually helps my girl’s dry skin. Particularly Remi, she has really dry, sensitive skin. It seems to act as a lotion, and soothes and nourishes their skin by locking in the moisture. I never knew I needed that it a sun protectant! The formula of this lotion is really great, also. It isn’t super thick, and it is easy to rub in and doesn’t leave you feeling like a complete grease ball. I like that it comes in a 2 pack, it saves you money in the long run! 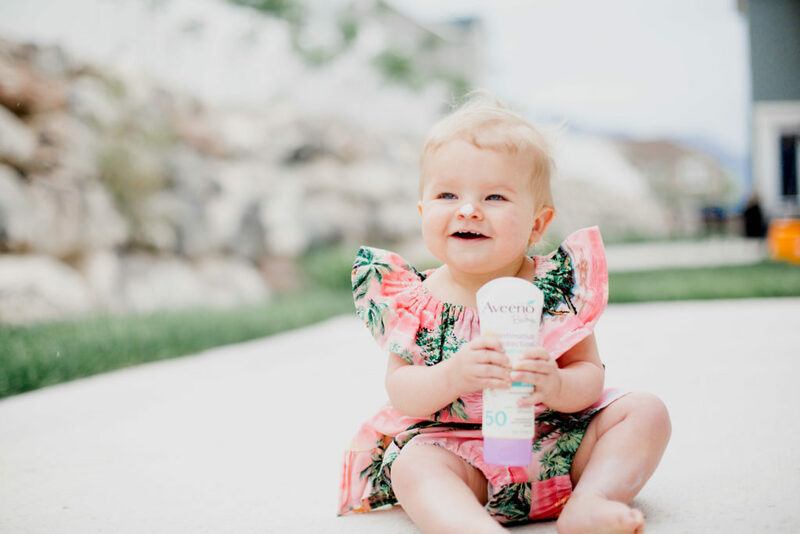 Be sure to head to your local Walmart and pick up the AVEENO® Baby CONTINUOUS PROTECTION Sunscreen Lotion with Broad Spectrum SPF 50 and use the Ibotta offer and get $3 off. While doing research, I found this MyFit Harness + Booster Car Seat. It was everything I was looking for. Added bonus, the LE version comes with a snack tray. Saylor thought that was the coolest thing ever. I am keeping Saylor in a 5 point harness for probably as long as possible (RE: until she is 14…kidding but I wish lol), so I liked that the harness mode weight limit is 65 pounds, and up to 100 pounds for the booster mode. The one pull harness tightener is also a game changer. It is so easy to do! The seat was incredibly easy to install. The latches clicked right in and I was able to tighten them without feeling like I was going to lose a hand. The manual is easy to read and understand, yet thorough enough to leave you feeling like you know what you are doing. I love that the chest clip has a photo of wear it should go on your child (armpit level). Saylor is super comfortable in it and of course, loves her cupholders and snack tray. As I mentioned above, I am passionate about car seat safety. It is something so simple to do, yet there are SO MANY careless people. Some are just uneducated, but I wish there was a simple way to let people know the best ways to keep our babies safe. Rear facing is safer than forward facing for children under the age of 2. If you can rear face for longer than 2 years, DO IT! 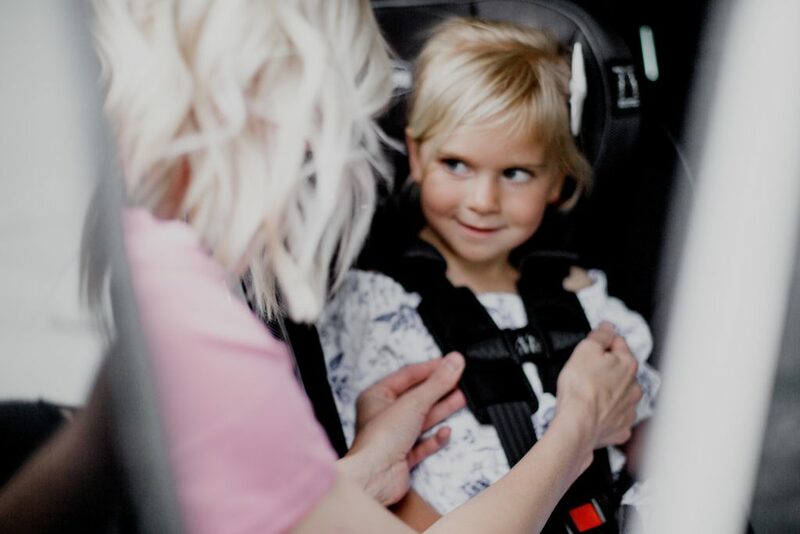 Our little ones muscular and skeletal systems are still developing, and while rear facing during an accident, those systems are protected by the car seat. Chicco has developed a campaign to support this, and it is called the TurnAfter2 Campaign. You can learn all about it HERE. I would also recommend getting your car seats checked by a CPST, which you can find one in your area by just Googling! Sometimes baby stores offer them, like Baby Cubby if you are in Utah, and sometimes hospitals or fire stations have them on staff. I hope this post made you rethink your car seat situation, and if you think you need to change a few things, then fix them! Re-read the owners manual, get your seat checked, tighten that harness…just do it for the safety of your kiddo. And definitely check out Chicco next time you are in the market for a new seat. You won’t be disappointed.